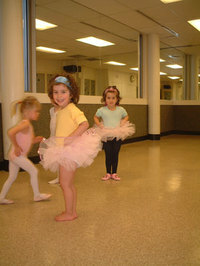 Here are some photos from the girls' last Tiny Ballerinas class. Gotta love those outfits. 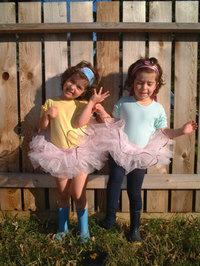 Z is in the black tights. 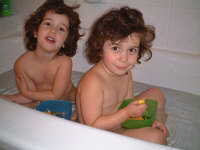 A great mothering moment: the girls eating macaroni in the bathtub, just like in one of their picture books. 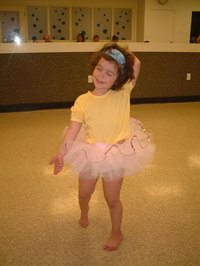 Those pics are adorable - thanks for the update. Any the macaroni bath - reminds me of Kramer in that Seindfeld episode!! !